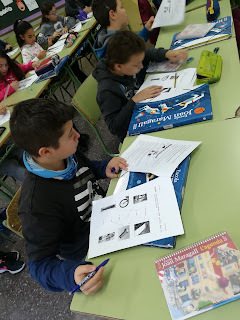 This course, in year 6 we have learnt about the importance of simple machines in our daily life. 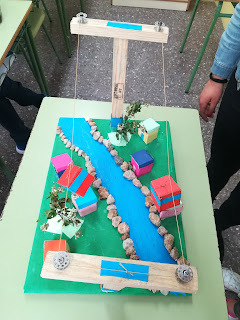 Through this blog we’re going to show you the development of our PBL project. 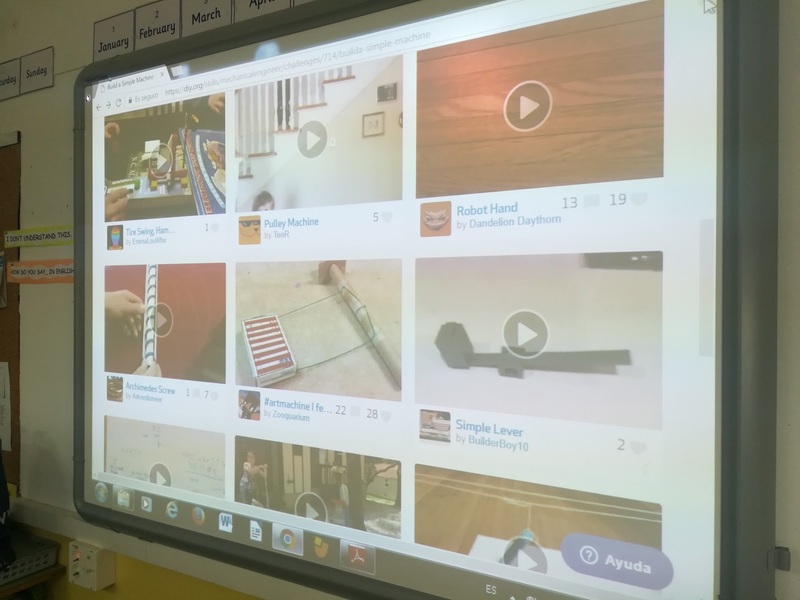 First, we introduced my students to the topic through this OK GO video. 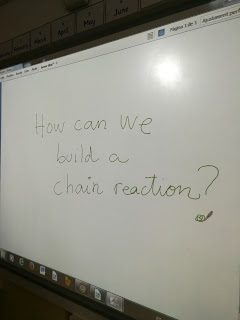 After watching it, we asked them the driving question. 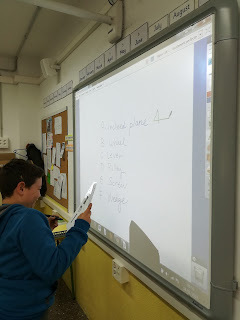 What do we need to learn about simple machines? One of the sessions was dedicated to learn about special effects in movies and advertisement. 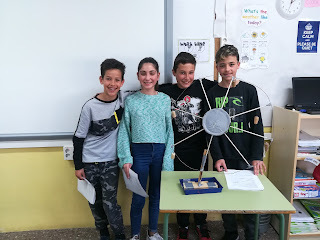 ACCIALT FLYING EFFECTS is a Catalan company who uses pulleys in order to create awesome visual effects! 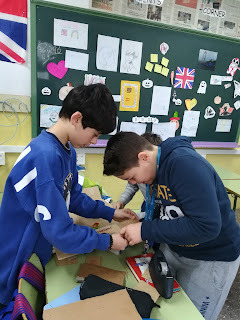 Thinking about our simple machine model using reyicled materials was not easy. For starters: we watched some videos for inspiration. 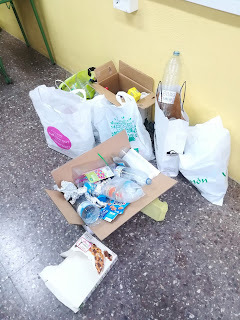 A week later our English classroom was full of rubbish! Ready to start amazing machines! 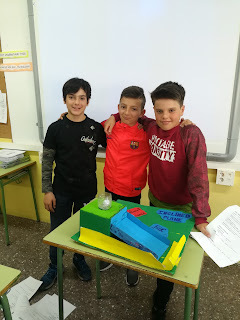 Here you can see our simple machines fair. 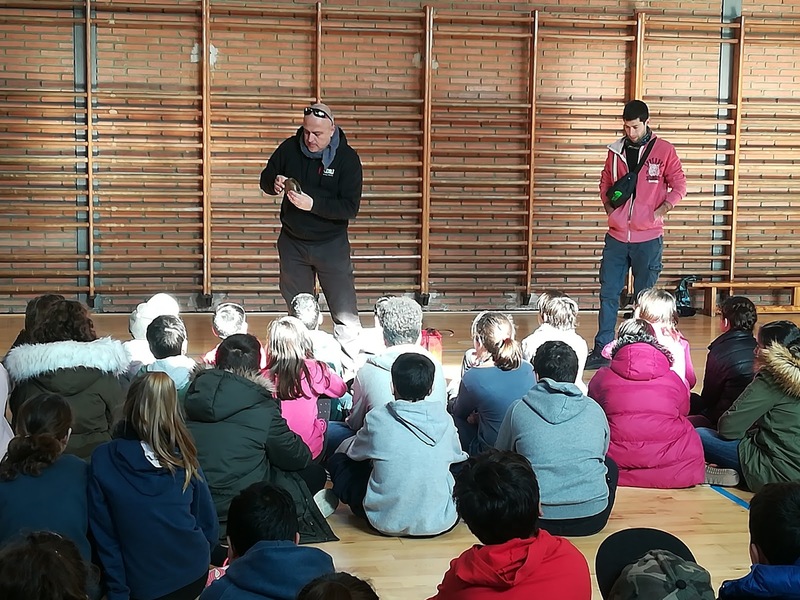 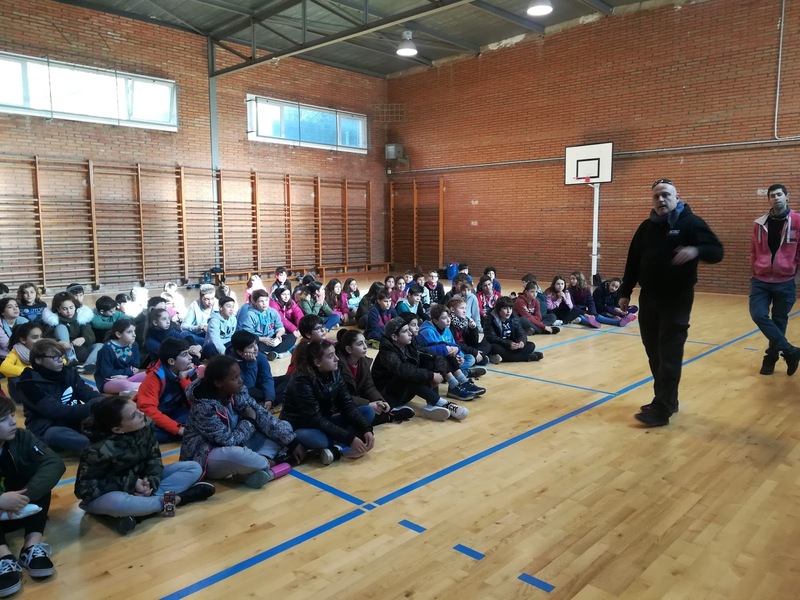 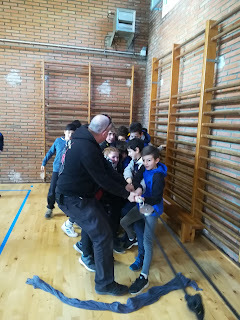 Els alumnes de 5è de primària de les escoles Sinera i Joan Maragall, guiats pels alumnes de 3r d’ESO de l’Institut Els Tres Turons d’Arenys de Mar, han gaudit d’un matí ple d’activitats en anglès. 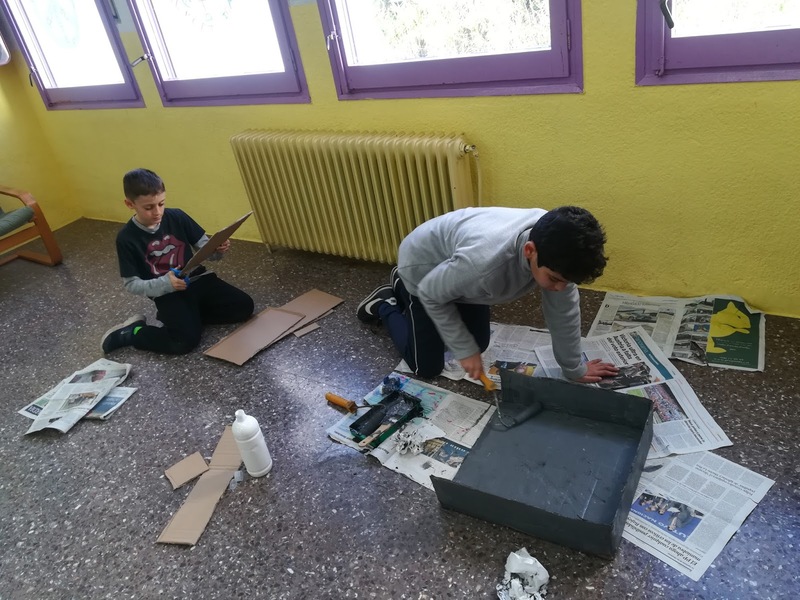 Aprenem moltes coses de ciències i experimentem utilitzant l’anglès. 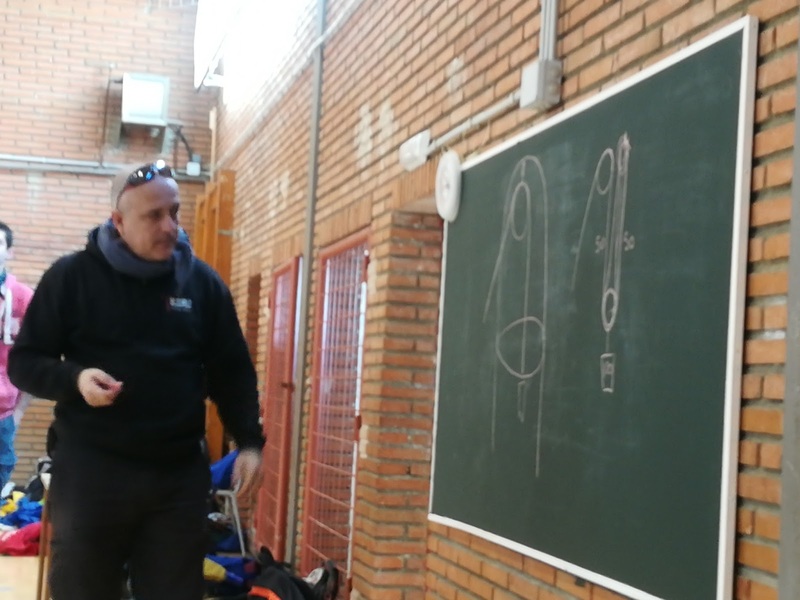 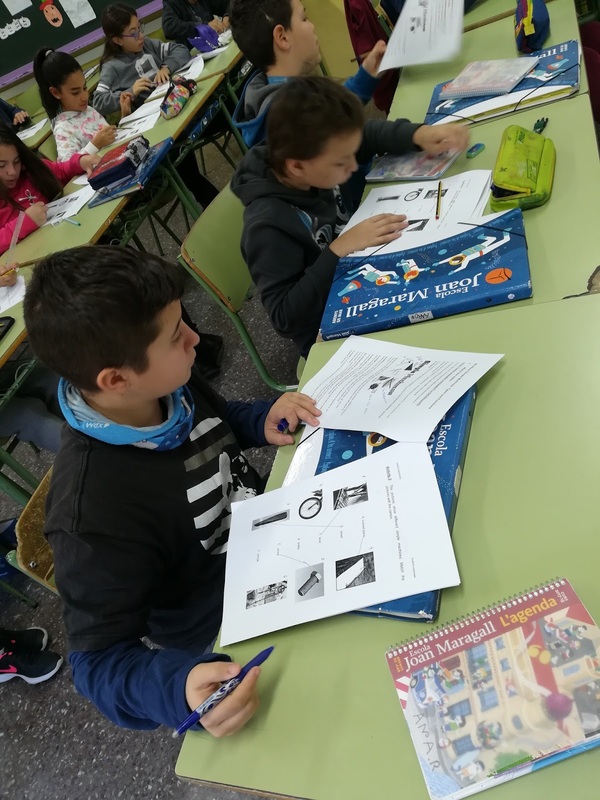 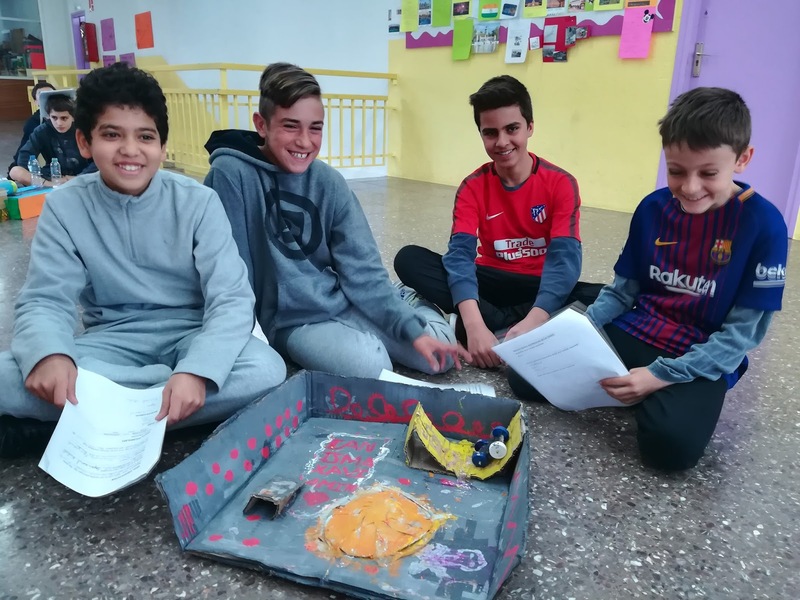 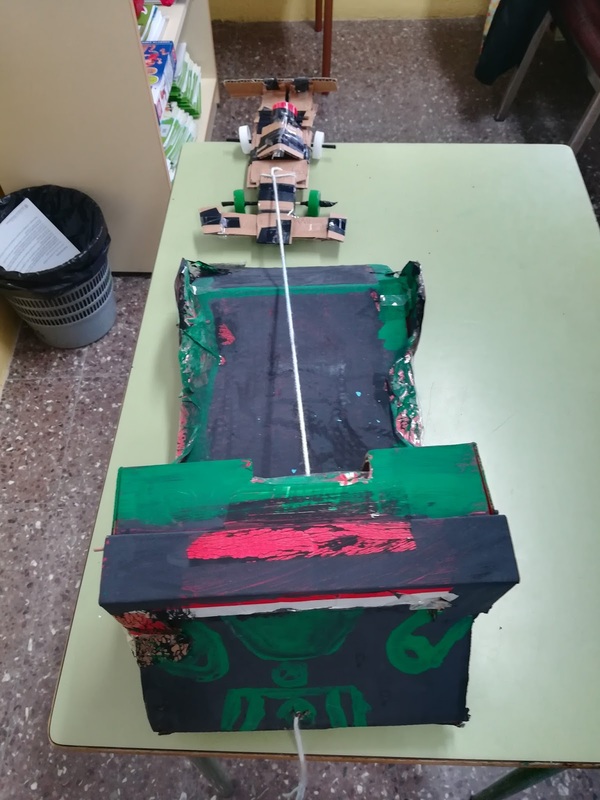 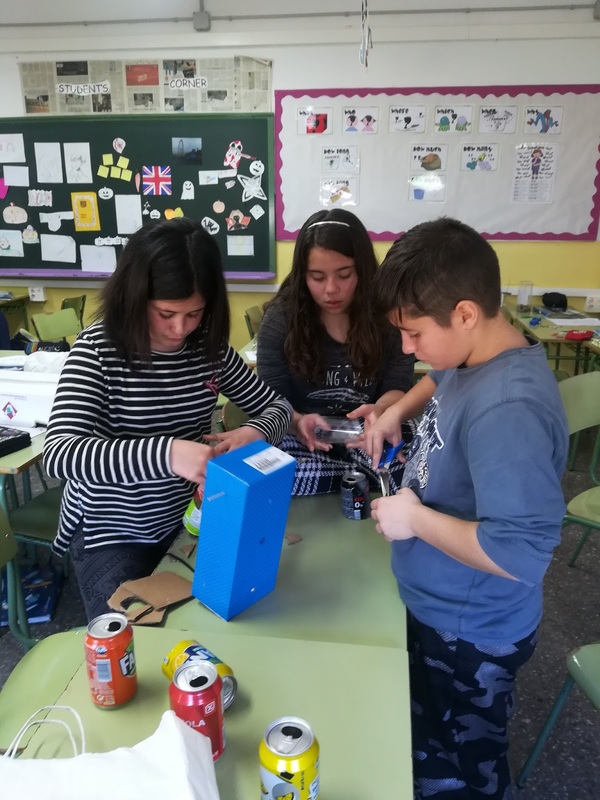 Projectes de l’aula de ciències.